Hair Mart is a wholesale supplier of an extensive range of hairdressing, beauty and nail products and supplies located in Perth, Western Australia. With 7 conveniently located stores that stock all the major brands, Hair Mart is a one-stop-shop for all your hair and beauty needs, salon supplies and equipment. Keen to learn and be inspired? Discover our range of hairdressing and beauty courses. View the specials currently on offer each month. Keep up to date with the latest arrivals and product launches. Think Pink! Muvo Ultra Rose. Easily refresh pink tones or create new rose hues to blonde, bleached, grey and highlighted hair! With so many products available at Hair Mart, it's often hard to choose what to buy! 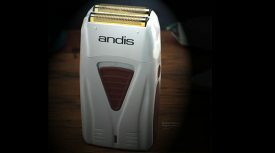 Here's a focus on the Andis Profoil Lithium Shaver, to hopefully make your decision making a bit easier.